I recently had the opportunity to swap services with the talented freelancer and photographer Abigail Boatwright. On top of having an amazing afternoon with one ultra-talented lady, stepping in front of the camera myself put me in the shoes of my own clients. Having pictures is important! I hadn't taken professional pictures of myself—let alone with Herbie—since late 2014 which is far too long. Though I love our old portraits, both he and I have changed so much since then, and our past pictures don't truly represent where we are in our journey. When I got the pictures from Abigail, I couldn't stop smiling! Though the shoot's goal was a few headshots for marketing my business, I'm also totally in love with the silly, goofy, 100% Herbie shots, too. Dressing for your shoot can be hard. I practically live in black tees (as seen in my 2014 photos), but I know that my go-to look isn't ideal for the camera (an all-black shirt often lets details of the body get lost...nobody wants to look like a blob!) I think I tried on eight outfits before picking one, and I'm still kicking myself for not putting my outfit together sooner. Learn from my mistake! Plan out your outfit two or three weeks ahead of time to ensure that you love your look come shoot day. After booking a session with me, you'll also receive a handy guide that walks you through wardrobe considerations to help you arrive at your session looking great and feeling confident. "What do I do with my hands?" I'm always working to communicate with my clients and help guide them to comfortable and beautiful poses...but being the subject of the photos was a whole new ballgame! I kept trying to remember everything from America's Next Top Model reruns (and keep my "smize" from turning to "crazy"), keep my hands soft and prevent Herbie from slobbering all over my jacket...there's a lot to think about! It's totally OK to be nervous in front of the camera—I know where you're coming from! That's why I'm always working to keep sessions fun, relaxed and enjoyable. Knowing horses is key! My shoot day was windy. First, Herbie was too looky and everything was interesting...except my ear catcher. Then he didn't care about any of our tricks, making attention grabbing a chore. It's easy to get frustrated in less-than-ideal situations, but we kept the session going; we moved locations, changed our attention-grabbers and also knew when to quit on Herbie's behalf. Luckily, Abby is also a horsewoman...can you imagine how hard this day would have been with a traditional photographer? Having a photographer who knows horses, can capture them at their best and keep the shoot moving smoothly is key to a good experience. My headshot session with Abby was so valuable. Beyond getting incredible, fresh images for my website and business, I left feeling closer in my relationship with Herbie. I'll walk you through the hard parts of preparation—and you'll arrive at your shoot feeling excited and looking fabulous. I'll help you feel comfortable in front of my lens—from energetic coaching to clear direction, my job is to make you look great while having fun. Your horse will look awesome, too! No matter if he's extra-hyped or couldn't care less about the fuss, we'll still manage to capture gorgeous photos that make your horse look his best. You're going to treasure your prints. 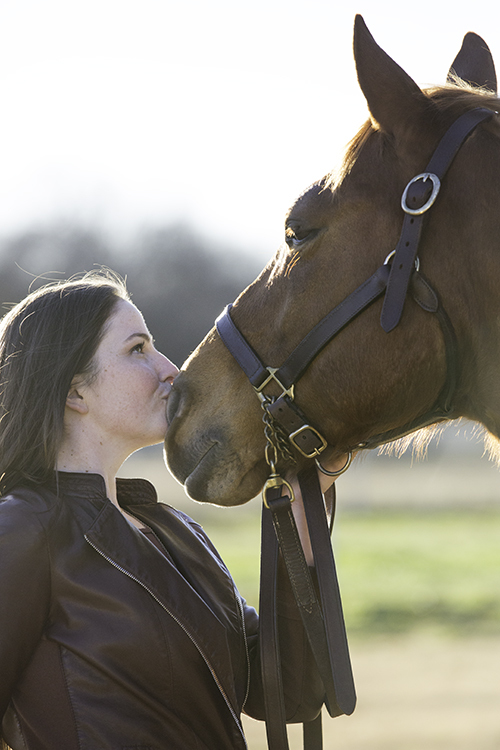 The perfectly posed, the funny candids, the emotional embraces...every image captures a beautiful piece of the relationship and journey you're sharing with your horse. I can't wait to help you celebrate it!